DRII's expert article contributions to development of the entire business continuity and IT disaster recovery planning processes. DRII's publication at DRJ - Disaster Recovery Journal. DRII and Disaster Recovery Journal jointly developed the Generally Accepted Business Continuity Practices. This multi-organization effort to create universally accepted Business Continuity guidelines is available for download free of charge. NFPA1600:2007 and NFPA1600:2010 edition : the Standard on Disaster/Emergency Management and Business Continuity Programs are approved by the US Govt. as one of the standards under the Private Sector Voluntary Preparedness Program. 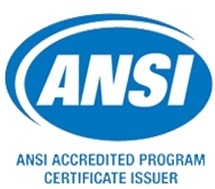 The American National Accreditation Board will administrate the accreditation of the standard conformance. The NFPA 1600:2010 closely collaborates and cross-references to DRII's professional practices. MAS Internet Banking and Risk Technology compliance guideline. Counter-Terrorism Security Watch Group Scheme. Business continuity systems come in handy. One stop hub on information about Singapore's e-Government masterplan and initiatives. The Meteorological Services Division of NEA provides various weather information and forecasts in Singapore. Information of becoming a Fire Safety Manager in Singapore. The National Fire and Civil Emergency Preparedness Council (NFEC) is committed towards promoting fire prevention and civil emergency preparedness to make Singapore safe and secure. Loss Prevention means the prevention of all losses associated with incidents and accidents in the oil, chemical and process industries. To and from healthcare facilities,and even to and from all kinds of nursing homes and hospital centers for critical patients, those individuals who can not fly on a commercial airliner need to take an air ambulance. This is an Emergency and Disasters Information and monitoring services. Satellite images of natural hazards such as fires, storms, floods, volcanon eruption and earthquakes. Safety Information for Short-Term Power Outages or "Rolling Blackouts"
The NFPA1600-2007 edition. Emergency Response and Business Continuity tabulates in Appendix A, concurrently reference NFPA Business Continuity to DRI Professional Practice. Directing and coordinating authority for health within the United Nations system. One-stop access to U.S. Government swine, avian and pandemic flu information. Emailing: FINRA - Rules and Regulations - FINRA Manual Online. ICLR is a world-class centre for multi-disciplinary disaster prevention research and communications. The intent of this "Checklist" is to provide a means of creating a "Business Recovery" manual for your business. The manual would be used by you in the event that you had to execute a recovery of you business due to a natural or man-made disaster. This "Checklist" can be used by manufactures, corporate offices, retailers, utilities or any organization where a sizeable number of people work or gather. Providing a powerful network for the advancement of the industry and the development of business continuity professionals. Providing You with Business Continuity Planning and Effective Disaster Recovery Services. Provides Domestic and International emergency and non-emergency. Preparedness LLC provides comprehensive business continuity related resources links. Purchase a copy of the ISO22301 Societal security -- Business continuity management systems --- Requirements. The most comprehensive source for crisis/emergency management and business continuity information. CPM has been the leading resource for business continuity/COOP professionals since 1997.